Victoria Justice has appeared in many Nickelodeon series like iCarly, Zoey 101, The Troop and of course in Victorious. Did you know that Victoria is involved in her musical career and has announced the release of her debut album in 2014? 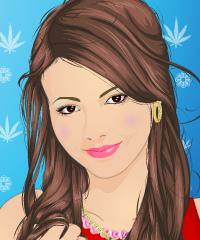 Have fun playing this makeover game and try many different looks for Victoria.